There was a noticeable hardness about the Crunch to these Crisps. They deteriorated at a slower rate than they perhaps should have, with lots of small shards making up the final munch stages. These thickly cut Crisps featured plentiful oil boils and loads of darkish coloured seasoning There was some skin on edges and some nice Handcooked curls and bends. 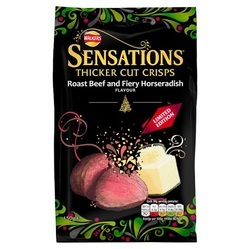 We found it a little disappointing that the packet claimed it featured “Fiery” Horseradish flavouring. 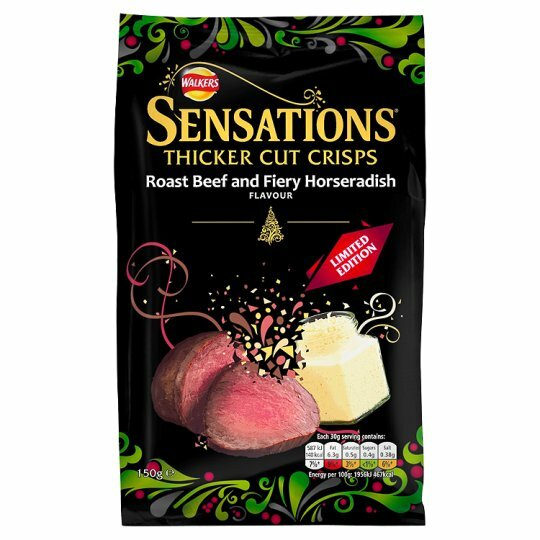 There was a meaty backdrop and there was a familiar Horseradish flavouring, but there was nothing remotely fiery about it. If anything it was a more impressive combo of flavours that met nicely in the centre ground than the claim of additional heat.